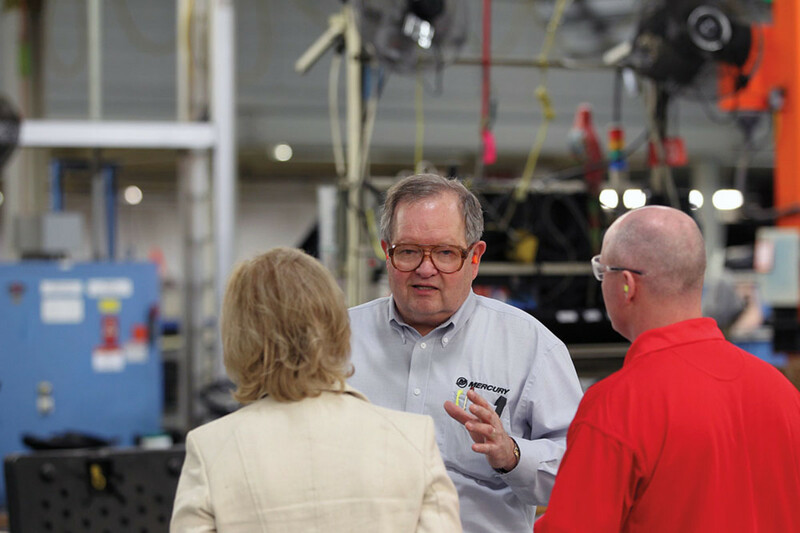 As president of Mercury Marine, Schwabero helped launch a number of successful products. A decade after Mark Schwabero joined Mercury Marine as president of its outboard business unit he is positioned to be Brunswick Corp. chairman and CEO Dustan McCoy’s eventual successor. 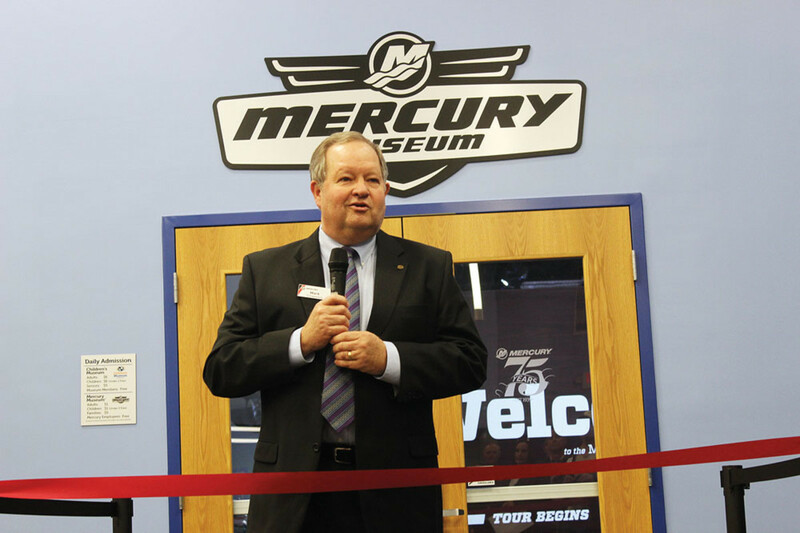 Although Schwabero has big shoes to fill, he has taken the lead on several initiatives that have turned Mercury into Brunswick’s most profitable segment. As president of the outboard business, Schwabero led development, manufacturing and sales in the company’s global outboard marine business. 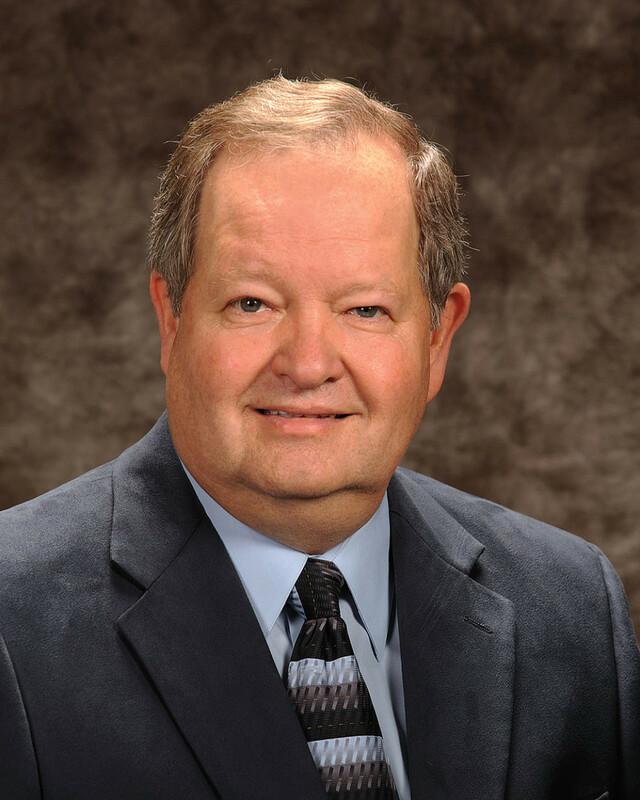 He became president of Mercury in 2008, and helped launch a number of successful products, such as the Verado supercharged engines, the popular 150-hp FourStroke engine, Joystick Piloting propulsion systems and a host of other products, parts and accessories. Schwabero also oversaw the migration and integration of Mercury’s sterndrive engine production from Stillwater, Okla., to Fond du Lac, Wis. That consolidation allowed the engine company to cut costs and make essential investments at the height of the recession. Mercury also has continued to gain share in the competitive global engine market, and recently was named 2013 Wisconsin Manufacturer of the Year, taking top honors in the Mega category. Schwabero sat down with Soundings Trade Only just a couple of weeks after the announcement that he will oversee Brunswick’s diverse group of businesses in the newly created position of president and chief operating officer. Q: Congratulations on your new role. I’ve heard a lot of positive feedback from the industry. A: There has been a really warm response from not only from the folks at Brunswick, but also from the entire industry. The feedback has been very positive. It’s been quite gratifying. Q: Can you tell us about your boating background? A: I actually started going boating with my uncle when I was a kid. My wife’s family owned a boat, and her father was still skiing behind the boat in his 60s. I guess as much as anything, I probably married more into boating and the boating lifestyle. We have a summer home on a lake in Ohio, and our nieces and nephews and everybody spend as much time there as possible. 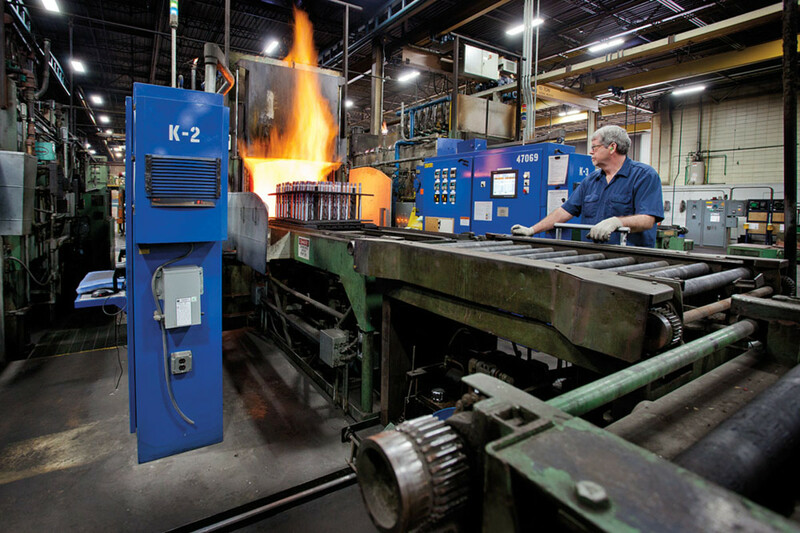 Schwabero says Brunswick strives for efficiency and effectiveness in its manufacturing processes. Q: Mercury has been such a successful part of Brunswick’s overall business. What were are some of the biggest accomplishments during your tenure? A: I joined Mercury in April 2004 as president of the outboard engine business. One of the first things I was engaged in was the initial launch of the Verado engine, and I ran the outboard business from April 2004 to November 2008, when I became president of Mercury in total. Over that time frame, obviously we were chartering our way through the downturn because that was just after the Lehman collapse. Bringing Mercury through that period of time was a critical juncture of the job, and some of the accomplishments the team and I were able to address. But when you look at some of the accomplishments at Mercury, you just can’t help but start by talking about product. Whether it was in the early days, things we did on the Verado, as I mentioned, on the outboard side, but more recently continuing the phenomenal FourStroke line in its entirety, up to and including the 150-horse, which was just a tremendous success for the business, as well as dealers, distributors and boat partners. We had to raise our capacity in a couple of different areas of the manufacturing processes as a result of a continued shift from [direct fuel injection] products to FourStrokes, and our market share growth and success we had with the FourStroke product. Q: Brunswick says your current position was created as part of the company’s overall succession plan. What was the thinking behind this? Schwabero says his new position will enable him to better learn and manage all of Brunswick&apos;s operations. A: It’s a newly created position in the sense that it’s new to the organizational structure. It’s really an element of our entire long-term succession processes that’s being led by the Brunswick board of directors. It gives me the opportunity to better learn and manage all of the Brunswick operations, not just Mercury, but each of the business segments, such as the boat business, life fitness business, the bowling products. It lets me manage them, learn them and develop and execute strategic objectives that we’ve set forth. Q: What are some of your goals in this new position, and as part of the overall plan for you to step in as CEO in 2016 when Dusty plans to retire? A: I think it goes without saying that part of it is just to learn to really understand those businesses and the issues and drivers that impact [them]. But the key thing is to focus on growth objectives that we’ve set for those businesses. Those aren’t new objectives, but they’re objectives we want to achieve because we want to outpace the industry. That speaks to new products or markets or services that we want to be offering to outgrow the market. The other is on the operational enhancements, and looking at how we can, in fact, run those businesses a little bit better. We went through a significant period of the downturn, and now we have the opportunity, as the economy is getting a little better, to continue not only focusing on growth, but on operational improvements. Q: What can you tell us in terms of new products, services and growth? There’s been some talk of parts and accessories acquisitions. Is there anything you can discuss on those fronts? A: I can’t tell you anything beyond what we’ve already communicated through earnings calls and other releases, but clearly we’ve said in those various communications that we’re looking to continue to grow the P&A side of the business, either by bolt-on acquisitions or leveraging infrastructure to go into some new markets. We’ve said those are strategic objectives, and as I’ve mentioned, part of my role is to achieve the strategic objectives, and we’re on that path. But we don’t comment on that until it’s appropriate to do so, being a public organization. Q: P&A was a huge upside for Brunswick throughout the downturn and emerging from it. A: It’s 43 percent of Mercury’s sales, and Mercury is the largest division of Brunswick. It’s a significant piece of the Brunswick portfolio. Q: Has that grown as people are using boats more, but not necessarily replacing them at the same rate they used to? A: It’s a very stable portion. It doesn’t have the degree of cyclicality to it that a pure marine play would have because you’re dealing with a much larger population. So you don’t see the kind of peaks and percentage improvements year-over-year on the upside or on the downside, but it’s a market that’s showing nice year-over-year growth for us as a corporation. Q: Brunswick has quite an aggressive model release schedule. Can you speak to that? A: Let’s just start with innovation as a total overall concept. I think it’s fair to say that innovation is really the lifeblood of an organization and its brands, and we work very hard to leverage our world-class product development capabilities such that we demonstrate product leadership in all segments where we compete. Part of doing that is the continual refreshing of the product line and taking the successes from one initiative and carrying those over to others. It is our intent to continue to refresh and replace models at even a more rapid rate than we have done in the past. We believe we’ve shown significant success in doing that. I’d also emphasize the other part of it, though — it’s not just innovation for innovation’s sake. It really starts with the customer and understanding that voice of the customer. Clearly from the work we’ve been doing from consumer insights and survey work, we really understand that innovation, new products, reliability, intuitive design are things that drive customers and things that excite them. Q: I understand some of the new models are sold through the year. A: Yeah, we’ve had great successes not only on things like the 150 FourStroke at Mercury, which we talked about, but also other enhancements there around Joystick Control, even talking about vessel view improvements, and propellers. The list goes on. If you move over to the boat side, at Sea Ray, two examples would be the 350 SLX and L Class 650 Fly. Bayliner has been doing some great things with the Element and deck boats. At Boston Whaler the new 350 Outrage and the 270 Vantage have been great successes. In the aluminum boats I’d have to start with Lund and the crossover product they’ve done, which is truly a crossover, and the Impact lines there. Harris keeps moving with its Crowne and Solstice lines. And even the European boats — we’ve had great things going on over there with the Quicksilver lines, with the Activ and Pilothouse products. And those are just some examples of things that are out there. Again, we don’t talk about new products until we’re ready, but I’ll just tell you there’s a lot more to come. Q: Mercury has been trying to increase its market share in the saltwater market. How is that going? A: For the saltwater market, you could almost say the southeastern United States. Clearly the saltwater region is an area of focused growth for Mercury. The addition of some saltwater boat partners is helping our share there, combined with long-term relationships that continue to grow. We continue to see growth and remain focused on the area. I don’t want to beat a dead horse here, but the 150 has been a real success in the saltwater market, and the work we’ve done on our Joystick Control and Skyhook [digital anchoring] capabilities that go with those systems have helped. We’re able to use those features on multiple engine applications for center console boats. All those things have been great for us in that market. Let’s just say we’ve got more exciting things that are going to come and be announced to position us even more effectively in that marine segment. Q: Who are some of the new partners helping you increase share? A: I would offer two customers as an example. One is with Tracker Boats and their Mako model. They’ve been having some nice improvement in the saltwater area, and we have a very strong relationship with Tracker. And another more recent addition would be Scout Boats, which has begun offering Mercury products and putting us in the price pages with Scout, which is a tremendous saltwater brand. As people see our products and experience our products where they’re able to be successful or we’re able to help them be successful, it works to their benefit and to our benefit. Q: There’s been a push to replace each model with one that’s priced the same or less. What are some of the challenges of keeping costs down while maintaining value? A: I think all of us as consumers are expecting to be able to get something new and exciting, and our expectation is we’re not going to pay a lot more for the new product than the product it’s replacing. Dusty has been talking about this publicly for some time now. We’ve basically adopted the philosophy here that we have to have efficiency and effectiveness in our product design, our manufacturing processes and our partners, such that the new product we bring out is at a cost that’s going to allow us to provide the right kind of value. It’s really a philosophy, an ethos, a marine value system we’ve adopted that says we’ve got to do our work in bringing out new products such that our customers are not only going to want it because it’s new and exciting, but also be able to keep that product’s price positioned so that the consumer finds real value in the product. Q: I imagine that comes with challenges as builder costs fluctuate and increase. A: It wasn’t any different from my time at Mercury. We were able to bring new products out that met design criteria, and I go back to an earlier comment I made: If you start with the voice of the customer and really understand what that customer is looking for, then as you’re in the process of developing the product and the processes that are going to manufacture it, you can make effective trade-off decisions. You make decisions such that you can meet the customer’s requirement and still maintain or lower the price of the product, versus what it’s replacing. It’s quite possible to do. Q: Dusty mentioned in a recent earnings call that Lund was doing very well. What has been the key to that success? A: Aluminum freshwater has been showing some nice recovery, and Lund’s grown more than the market. He talks about having share growth, and you have to do a lot of things right to grow your share in the market. Lund’s putting a lot of focus on their new-product development and doing many of the same things that have been done in other parts of the business — bringing changes and updating their products at a faster pace. The team up there are all about knowing and understanding fishing, but they also know the family aspect of this, they’ve been able to do some things that not only improve the “fishability,” but also the recreational use of a particular boat. The best example of that is where they’ve come out with their Crossover line, which again not only lets them do things from the fishing perspective, but also use that same product for the family in their recreational needs. We’ve found that since the recession and in the recovery, customers are really interested in looking at premium products and the quality and expectations that go around it, which — once again — really plays to everything about the Lund boats, the Lund brand and the Lund organization. You’ll have heard Dusty talk about it — the customer that’s buying boats isn’t any different from you or I. They’re looking for value. There’s a lot of different ways you can deliver value, and in Lund’s case the Crossover product is a way in which they’ve decided to really focus on that value equation. Q: Dusty also said Boston Whaler might be the most profitable boat brand in the industry. What is it about Whaler that enables it to keep brand loyalty and a high level of excitement going? A: Whaler has an extremely rich heritage in the segment in which it competes. The products are iconic, we’ve got great, world-class distribution partners and relationships there and we’ve continued to invest in those products through the downturn. So it’s a tremendous foundation that’s in place. As you look at the industry itself, the outboard-powered saltwater segment where Whaler really competes has recovered pretty strongly in the last three years. At the end of 2013 it was up over 30 percent, versus the total fiberglass market being up around 10 percent during that same period. So the segment in which they compete has really shown some nice growth, particularly in the 23-foot-and-above area. So they’ve got a great heritage; they’ve had great products. The segment is showing some growth. And then if you start looking at things they’ve done, delivered things like — I’ll just pick one — the dual console Vantage 230 — it won an NMMA Innovation Award in Miami and it’s exceeding our retail expectations. They’ve been bringing lots of new products with the 350 Outrage, the 210 Dauntless, as well as the 240 and 270. Really, the entire Dauntless family’s been relaunched. I just can’t say enough about that team down there and what they’ve been able to do with that brand. Q: I talked to some of the engineers about those models that were new at Miami in 2013. They seemed excited about little things such as seat versatility. A: The people there know their brand, they know their customers, they know what excites their customers and what their customers look for. They’ve done an outstanding job of delivering on those expectations. Q: Do you think the struggles of the sterndrive segment are a long-term development or a natural market shift that will fluctuate back to what it was? A: It’s true that the recovery in that segment has been uneven. I think that would be the best way of describing it, compared to what you’ve seen in pontoons or saltwater fish. But I think fundamentally if you look at the demographics of that consumer and how that consumer fared going into the recession and the issues they were faced with, they’re just different than those we’ve seen in some of the other market segments. That means the recovery has been uneven. I don’t think it’s been a shift and people are abandoning the segment. I think the fundamentals of that consumer were impacted differently during the downturn, so we’re going to see the recovery be a little different than in some other segments. Q: Do you think things are evolving toward something new or different? A: I think that in the lower-horsepower segment of the fiberglass market we will continue to see some shifting over to outboards. But fundamentally the larger boats will remain sterndrive-powered. I think the segment will show growth over time. It’s just got a different recovery curve than some other segments. If you take Sea Ray’s new 350 SLX, it still fundamentally does a lot of the things a cruiser does, but not everything a cruiser does, and it’s been extremely successful. So I think there’s a desire there for the boat, the size of the boat [and] the propulsion of the boat. It may shift what features that particular boat offers, but there’s still a customer looking for that type of product. Q: Will Mercury’s manufacturing its own sterndrive engine blocks provide some of the innovations we’ve seen in the outboard market? A: I think when the timing is right and the product is launched in the marketplace, there’ll be a whole array of features that are going to come with that new product. It gets as fundamental as when you have the opportunity to start with the engine block and have complete control of the integration and the product offering, you can make things happen that you might not have been able to do in the past. I think you’ll be impressed when that new product comes to market. Q: My understanding is that sterndrives haven’t had the level of innovation that we’ve seen on the outboard side. Might some of that contribute to buying decisions? A: Well, it’s the same group of engineers using the same product development processes that launched our outboard product that are doing the sterndrive product, so it would be reasonable to assume they understand how to do it and they’ll make it happen. You’ll be hearing about it soon.